Xiaomi Redmi 5A is a budget smartphone that packs some midrange specifications. It's for people that budget below 100Eur/150USD/40,000 Naira. 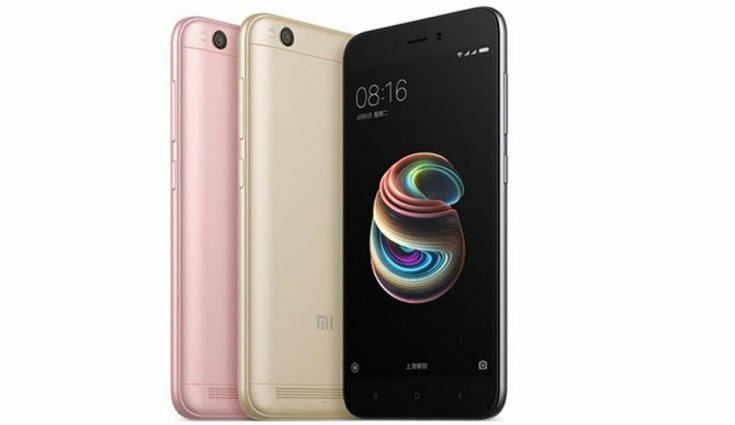 Coming to the specs, the Xiaomi Redmi 5A features a 5-inches screen display, 4G LTE enabled, runs on Android 7.1 Nougat which is powered by Snapdragon 425 chipset coupled with a 2GB of RAM plus 16GB inbuilt storage. The battery isn't bad because it has non-removable 3000mAh battery capacity. The phone is very much affordable. You can see the full specifications as well as the price below. Price About 90 EUR / $106 USD / N38,000 / CNY 700 / Rs 6,879.
the phone has a nice specs and also a good ba3 capacity,and it is also cheaper to afford by the ordinary men. Ummmmmmmmmmmm. Nice specs. Good price too. Good specs for today's standard. However the price isn't so standard. With so many similar specs it should be much cheaper. You didn't specify the bands. You only stated the frequencies. Check Here for all network bands that are supported with that device you mentioned above. Good phone with good specifications. This device is good and not that cost. This device is good o..